Tax Reform Impact on Exempt Organizations and UBTI - O'Connor & Drew P.C. The Tax Cuts and Jobs Act (“TCJA”) tax reform policy, which passed at the end of 2017, has not only impacted individuals and businesses but also tax-exempt and non-profit organizations. One of the most significant tax-exempt areas impacted by the TCJA is the taxation of unrelated business taxable income (“UBTI”). 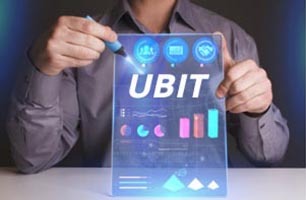 UBTI is income from a trade or business regularly generated by a tax-exempt organization that is not substantially related to the performance of the organization or its exempt purpose or function. by the university. In this case, the purpose of the newsletter is to keep alumni and faculty informed of local athletics as well as increase attendance and solicit contributions. This advertising income is outside of the university’s exempt purpose of providing an education to students and is therefore considered to be UBTI. Tax-exempt organizations with UBTI must file Form 990-T which is an Exempt Organization Business Income Tax Return to report unrelated business income over $1,000 and to calculate tax on the income. In the example referenced above, the university would have to file a Form 990-T if their advertising income exceeds $1,000. organizations with income earned during both rate periods will need to use a blended tax rate during the year of rate change. A lower tax rate is a benefit for tax-exempt organizations, but unfortunately, this is not the only change to UBTI. are reported separately, the losses generated from the sponsorship activity may not be used against the taxable advertising income. The unused losses are carried forward as a net operating loss (“NOL”). Under the TCJA, a NOL generated after January 1, 2018, may only be carried forward, NOL carrybacks are no longer allowed. These losses may be carried forward indefinitely until the same activity that generated the loss has net income. However, even after the unrelated trade or business turns a profit, only 80% of the NOL may be used to offset net income. This TCJA change ensures that exempt entities will have to pay tax on at least 20% of taxable income, even when a carryforward NOL is present. on their W-2, however, while this would preserve the expense for the tax-exempt organizations, the tax burden would be shifted to the employee in the form of taxable wages. The increased likelihood of paying tax on UBTI is especially unfortunate because tax-exempt organizations can expect a decrease in donor support beginning in 2018. As part of the TCJA for individual taxpayers, various itemized deductions were either repealed or limited while the standard deduction amount nearly doubled. These changes may result in nearly 90% of taxpayers claiming the standard deduction in lieu of itemizing. Since charitable contributions to qualifying exempt organizations is currently an itemized deduction, the incentive and value in making donations is reduced for individuals. However, there have been political efforts which would incentivize individuals to continue making donations. The proposed “Universal Charitable Giving Act,” seeks to move the deduction for charitable contributions to the first page of the Form 1040. This would allow individuals taking the standard deduction and those that itemize to claim a deduction for a portion of charitable contributions, which would be particularly impactful post-tax reform. This proposal remains open in the House of Representatives. A study by the Tax Policy Center estimates that charitable giving will decrease overall by $12 to $20 billion in 2018 due to tax reform changes. In consideration of this fact, non-profit entities previously reliant on charitable giving may need to consider alternative unrelated business ventures to keep money coming in to fund operations. However, as referenced above, these unrelated business activities may result in taxable income. Additionally, according to the Tax Policy Center, large drops in charitable giving may result in an estimated loss of up to nearly a quarter million jobs, thereby also decreasing the work done by non-profits by billions of dollars each year. Unless legislation or another mechanism is put into place to expand the availability of the charitable contribution deduction for individuals, some tax-exempt organizations will have to turn to unrelated business activities in order to cover the costs of operations. Alternatively, exempt entities may want to adjust their marketing campaigns to focus more on high net worth individuals that will still take advantage of itemized deductions, post-tax reform. Contact your accountant today to discuss how tax reform may affect your tax-exempt organization.